This laptop has high-performance components and a large screen. This Dell Inspiron 7000 15 7580 is ideal for students that want a fast laptop that also handles a few games (see the lowest price). It comes with a quad-core Intel Core i7 processor, 8 GB of RAM, a 512 GB SSD and a Full HD screen. This model being reviewed here is not the cheapest, neither the most expensive one. 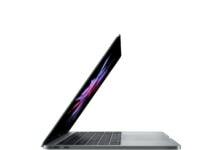 You can have 16 GB of RAM in the most expensive one. Thanks to it’s quad-core processor and SSD this is a fast and smooth laptop. If you want to web browse or edit photos, 8GB of RAM is enough for that. 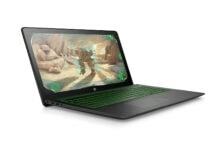 This laptop also has a dedicated Nvidia GeForce MX150 which help with the overall speed and enables you to play some games, but it might struggle with the latest high-end games. Nothing significantly wrong can be found with the touchpad or keyboard. The keyboard has a backlight that you’ll find very helpful when you’re looking for keys in the dark. On battery life this laptop scores about eight hours which is good for such a big laptop. The speaker quality on this laptop is not pleasant to listen to. You are better off with some headphones or desktop speakers if you want to watch a movie or listen to music. The screen is a let down as well. It’s okay for most users, but it does lack punch and brightness. If you want to see exactly how your pictures will look like when they are printed, this is not the best screen for that. 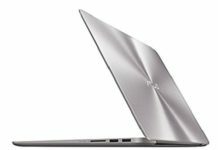 If you don’t need its 3D performance, then there are other better laptops that you should look at. It’s a bit overpriced for a 15-inch laptop, but it still is worth a look. For information on how to choose a laptop, check out our laptop buying guide.